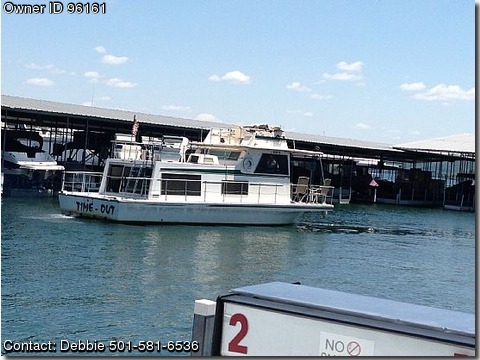 Please contact the owner Debbie at 501-581-6536 or debzer61(at)gmail(dot)com.1975 36' Splendorcraft w/2 inboard Chrysler Motors. The engines are not operational at this time. The boat has lots of indoor and outdoor living space with a spectacular slip. Bathroom with shower and kitchen with large refrigerator are totally functional. Most recently the impeller kits with gaskets have been installed. Also, a carb and tune-up kit. Oil and Oil filters have been changed and 2 new batteries installed.